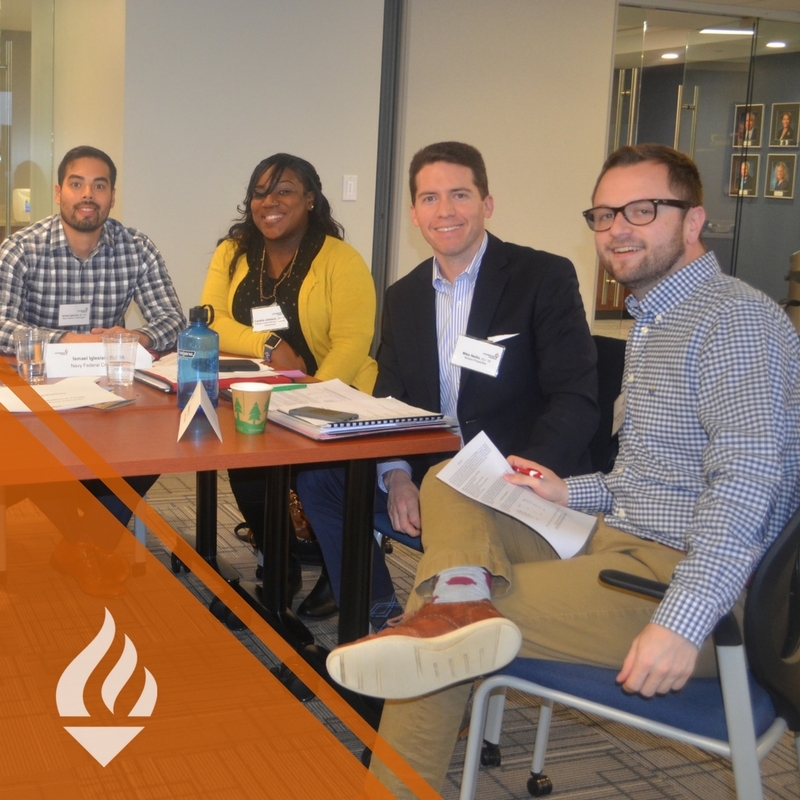 The Emerging Leaders Institute (ELI) is a 10-month program that brings together approximately 35-40 motivated and energetic young professionals from the business, nonprofit, and government sectors throughout Northern Virginia. ELI participants receive specialized leadership development training to enhance their skills in project management, conflict resolution and negotiation, communication and presentation skills, community leadership and more. All Leadership Fairfax faculty members are sought-after trainers and certified leadership coaches whose “coach approach” to training provides a rich, experiential and individualized approach. Participants will also receive individual 6 hours of professional coaching support, and participate in community service projects that enhance their personal and professional resumes. ELI develops leadership skills and competencies that accelerate the process of becoming a leader at work and in the community. This transformative learning opportunity takes an individual’s potential and turns it into a powerful performance. ELI is for the high-potential employees who are ready to focus on core leadership skills and are poised to move up in their organizations. Skill Building: Sharpen your critical skills essential for effective organizational and community leadership. Enhance your public speaking, conflict resolution, communication, negotiation skills and more. Learn what it means and what it takes to be a results-oriented leader. 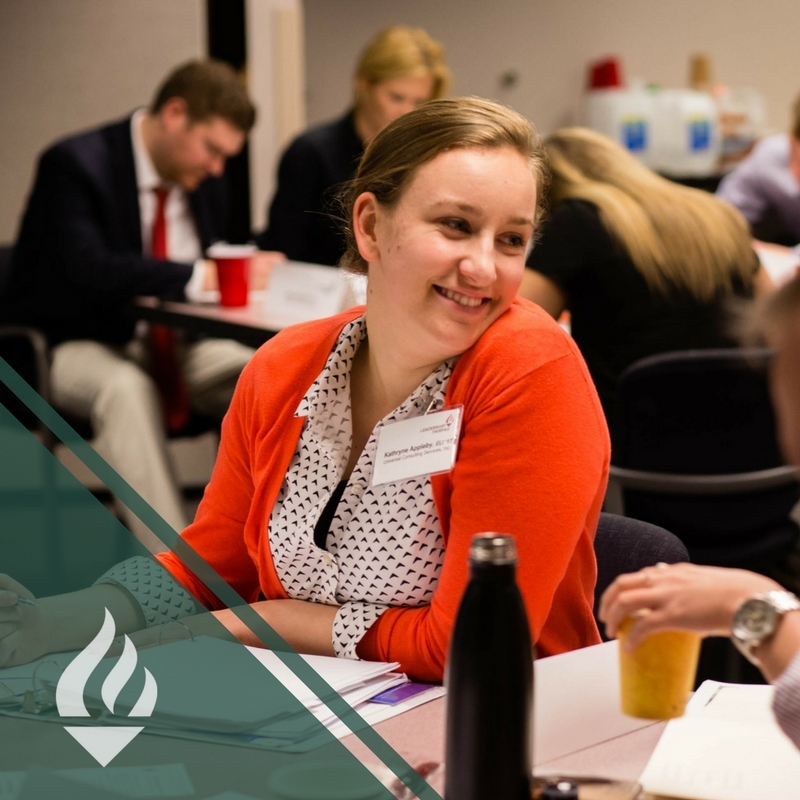 Participants have the opportunity to work with experienced leaders and managers throughout the year, and will interact with high level community leaders and elected officials. Pair with a certified leadership coach for six one-hour sessions focusing on real-world leadership techniques and challenges (value $1,200-$2,000). Work in teams on short-term community service projects for a local nonprofit. Build relationships, learn from your peers and experience first-hand the opportunities to make a difference in your community. Each year, in the summer, proposals for community service projects are requested for selection by the incoming class. As an ELI graduate you will be better prepared for greater responsibility within your sponsor’s organization. In addition, you can exercise your newly developed leadership skills by volunteering or serving on the board of a Northern Virginia nonprofit or community organization. The ELI program is launched in September with an opening reception and dinner, followed by an opening program day. From there, class participants will typically meet on the second Tuesday each month, September through June, from 8:30 am to 6:00 pm including social networking time to finish up the day at various locations in the county. Outside speakers, seminars and experiential activities allow for active engagement at each class day. Time outside of regular class days is required for participation in project team’s community service project and for the coaching relationship. Individuals who have demonstrated a capacity for leadership, an interest in community service and a willingness to commit time to the ELI program are invited to apply. Tuition for the Emerging Leaders Program is $3,000. 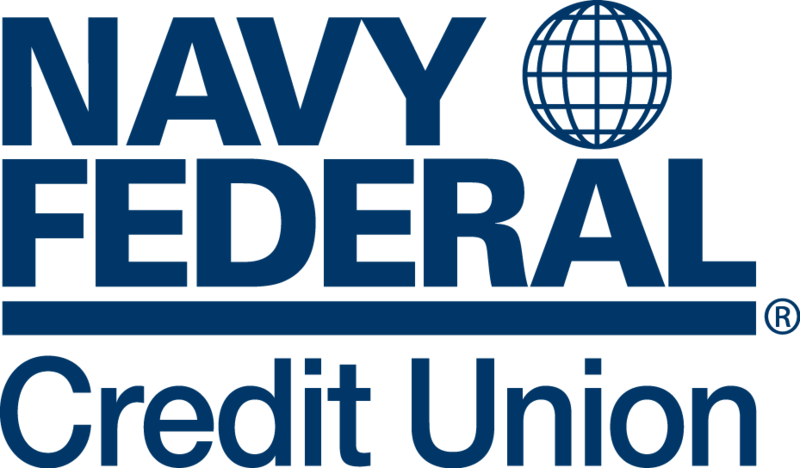 If accepted and enrolled into the program, you and/or your organization will be obligated for the full tuition fee of $3,000 payable by the start of the program. As a participant in the ELI program you will be expected to attend each program day and in addition take on an active role outside of the program days as a team member in planning and executing a community service project as well as being engaged in a mentoring or coaching relationship. Leadership Fairfax is a membership organization and a 501c3 nonprofit. Following your class year, as a graduate of the ELI Program of Leadership Fairfax, you will join a cadre of over 1,800 remarkable, accomplished fellow alumni. Each year you will be invited to join with them for updates on community leadership issues, community projects, networking and social activities. 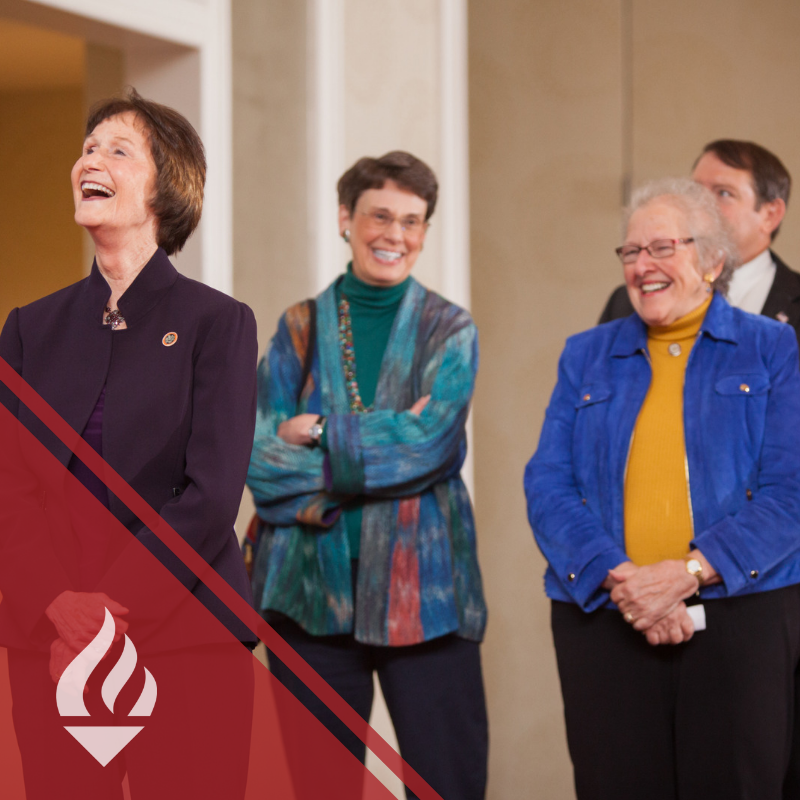 LFI, ELI and LLP Alumni are Community Trustees for Fairfax County — we give you the county knowledge and background, and set the stage for what you will do once you’ve graduated from the program. Your knowledge, skills and experience will benefit the county, in whatever way you choose.